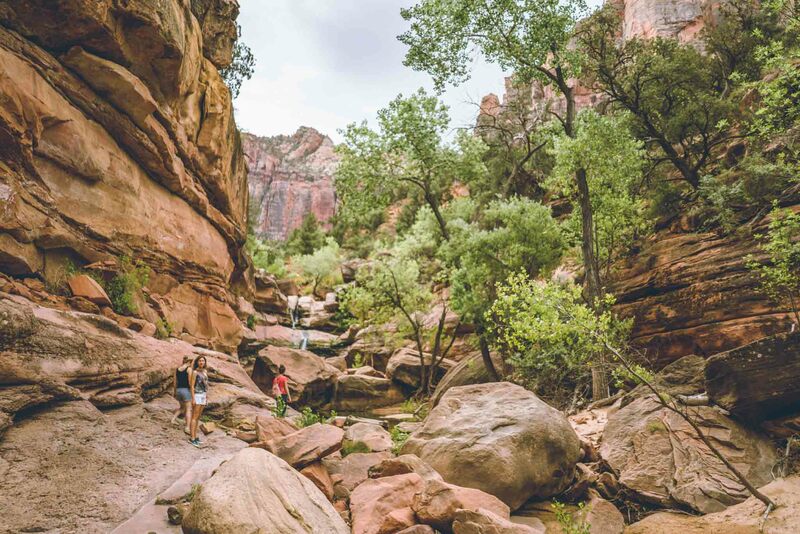 This is a family friendly, easy hike that all can enjoy. There is a great flavor of Anasazi culture as you wind up the path that leads to some old Anasazi Farmstead foundation remains, and some incredibly well preserved petroglyphs. You can take the stroller, or pack the kids on your back. However you prefer to do it, this is a great hike with some great history! Directions to Trailhead. From I-15 Exit 6, head north on Bluff Street (Highway 18) for approximately 3 miles and turn left onto Sunset Blvd. Continue West on Sunset Blvd for about 7 miles and turn left. There will be a sign on your right that says ‘Santa Clara River Reserve – Anasazi Valley Trailhead’. The entrance has a gate on it that is open during the days. 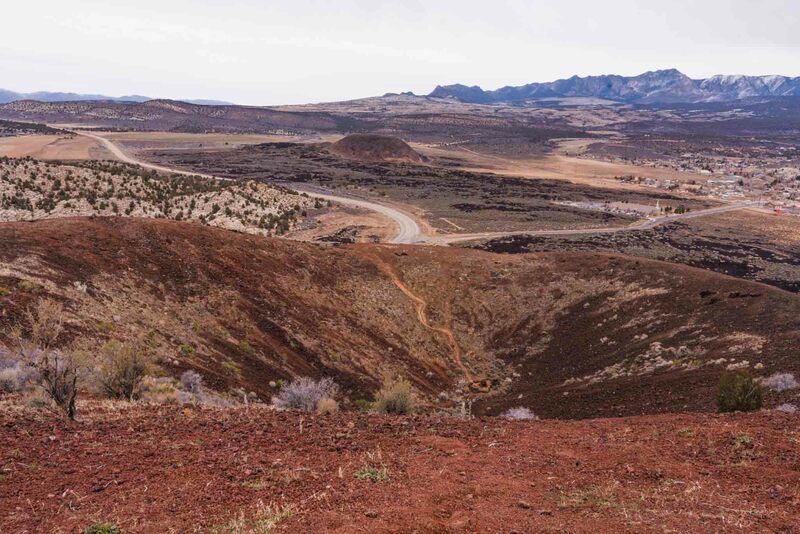 Follow the dirt road for a few hundred feet and the trailhead will be on your left. The Anasazi Valley Trail, or Tempi’po’op, leads to some spectacular ruins of and old Anasazi Farmstead and some of the most well preserved petroglyphs in the St George and Southern Utah region. The unique quality of these petroglyphs is their location. I have spent hours looking through slot canyons to find these rock carvings tucked away where you really have to know where to look to find them, but these are right out in the open. They are beautiful to look at, and should be treated with respect and care so they will continue to last for many generations to see. There are two ways to get up the trail – the long way and the short way. I think the Santa Clara River Preserve would probably prefer that you take the main, well developed trail that slowly winds its way to the top of the hill. However, there is another trail that is fairly well developed because of use that heads up to the right. It is a single track trail that moves up along the edge of the cliff for a little ways, and then up the hill. If you are in a hurry, take the trail to the right. If you’ve got some time, have the kids with you, and/or want to enjoy the scenery, then take the trail to the left. It is stroller friendly and is fairly wide most of the way up. I had my wife and daughter with me, so we decided to wind our way up the ‘long way’. The path to the top of the hill eventually got a little old with its switch backs. We could see where many before us had cut corners, or just left the trail all together and blazed their way up the knoll. As tempted as it was to follow their examples, I kept reminding myself that part of the beauty of areas like this is kept by maintaining the integrity of the wild lands. So, eventually we ran up the trail to get to the top of the hill. 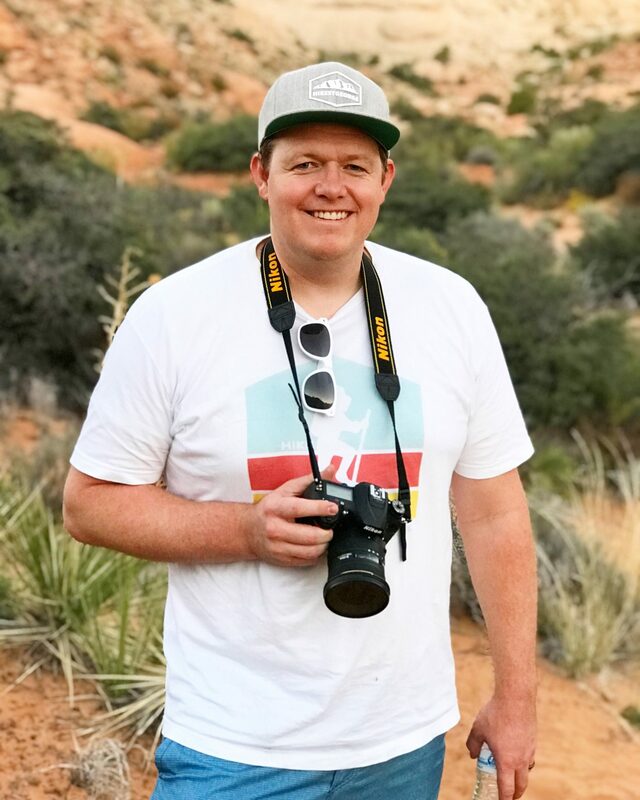 Another thing I constantly try to remind myself and those that trek with me is to take in the scenery of Southern Utah while you go on these hikes. The journey and surroundings are every bit as important to enjoy as the destination. One of the views you don’t want to miss is the full face view of Red Mountain. Just turn around as you head up the trail and take a gander. It is magnificent, beautiful, and above all things…RED. What an incredible place this is! As we crested the hill we first veered to our right to take a look at the Anasazi Farmstead ruins that are fenced in by pioneer style wooden fencing. Once again, I’m always fascinated by ruins, and feel a sense of reverence for the lives that were lived and the hardships endured by these people so many years ago. There isn’t much left of this site, but archaeologists have been able to determine that this was a place used to store food and herbs. From the ruin site, we headed back up the trail to take in the striking petroglyphs. We didn’t have to move up the trail too far before we saw a sign indicated petroglyphs and then they were right beneath our feet! We climbed over the edge of the hill to where we could look at the face of the rocks, and almost every rock was covered in the rock pictures. I couldn’t help thinking, “What were they trying to tell me? What was so important they spent hours chipping away at the rock so it would be preserved for hundreds of years?” This is a sacred place. Reverence it, and preserve it so your children and grand-children can come and enjoy it too. After we had looked over many of those first petroglyphs our baby was ready to be done with the hike, so we headed back. This hike can really be as long as you want to make it. If you continue along the top edge of the cliff there are carvings for quite a ways along there for you to discover and enjoy. In the interest of time we headed back on the more direct trail (the one that came up to the right), and we were back to the truck in no time. Go enjoy this one and come back and tell us all about your experience in the comments below! People were stepping and sitting all over the petroglyphs today, and people had left their own “petroglyph” graffiti. 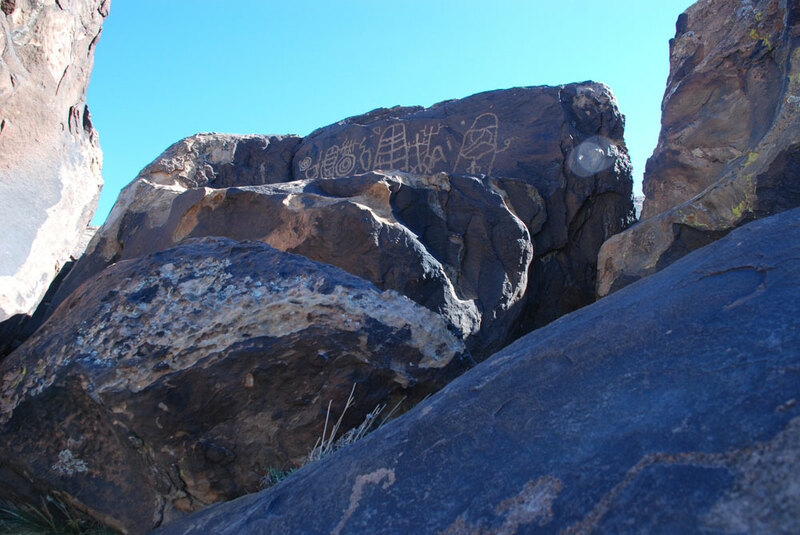 Let’s educate our children to not touch the petroglyphs, or even pour water on them so they can show them to their children and grandchildren someday. There needs to be better signage letting people know this. Obviously signage isn’t Tim’s responsibility, I’m just leaving this here for visitors to be informed. Thanks Anna! You’re so right! We all need to help educate! 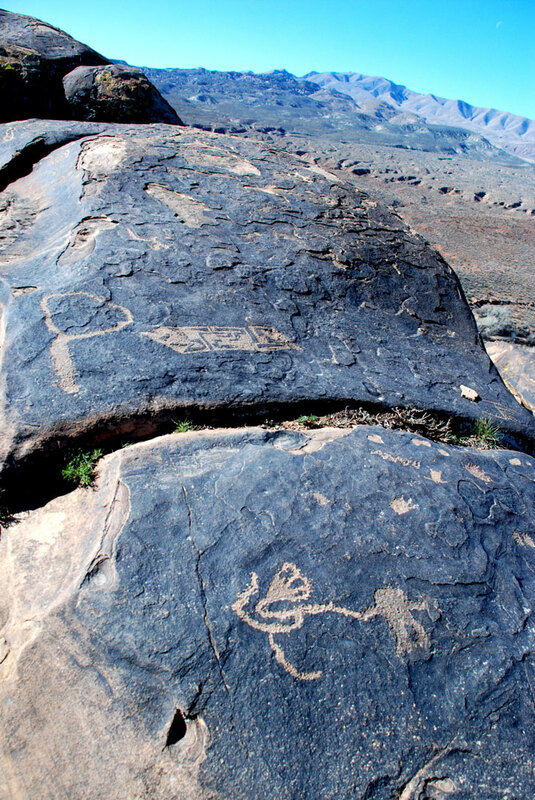 Here is a great resource to get you started https://hikestgeorge.com/how-to-protect-petroglyphs-and-historic-artifacts/!